Mango Tree spices the remaining half of 2018 with its latest innovation for Thai dishes! 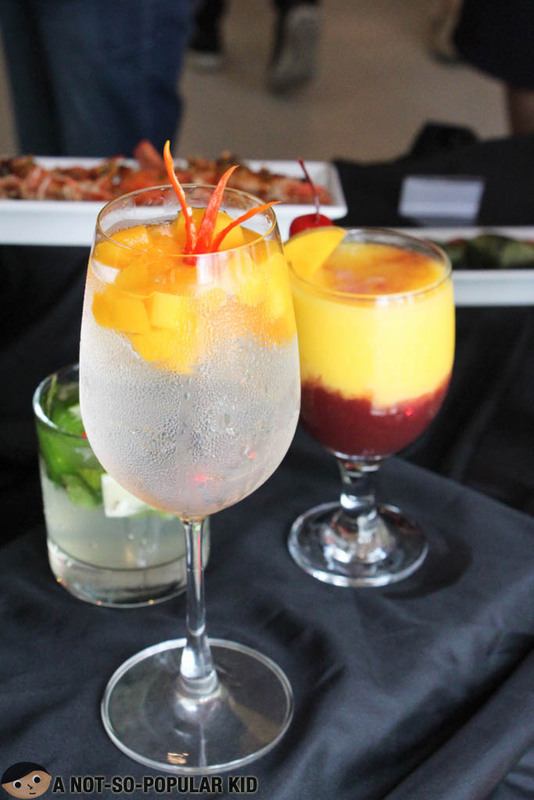 This restaurant has been a favorite go-to place for Thai food, and with these newest additions, there are more reasons to dine here. What I really adored in Mango Tree is its highly comforting ambiance. At first it may seem intimidating with the sophistication in the interior, but as you feel it even more, you'll notice how homey and comforting it is. Oh, Mango Tree also offers a variety of unique beverages which are made to compliment the dishes served here in the restaurant. I'll no longer keep you waiting as I reveal the latest additions! 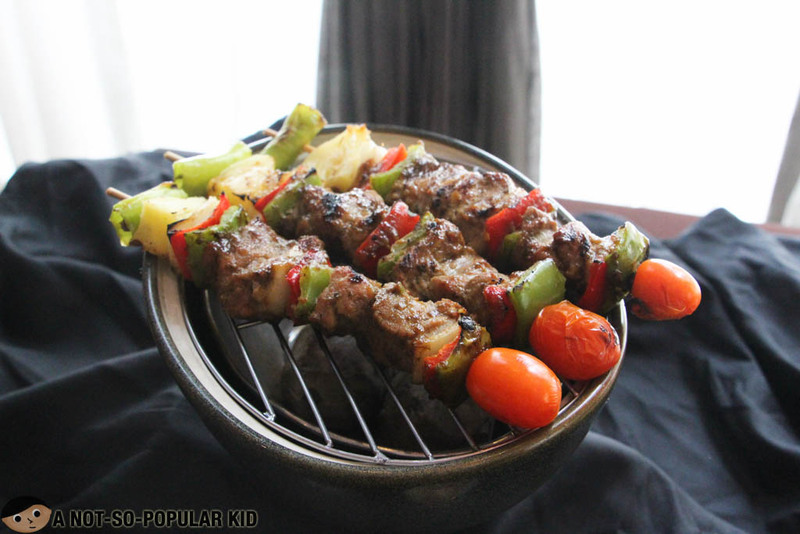 Let's start off with the Thai Pork Skewers! 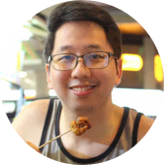 The Thai Pork Skewers (P420) will sway you with its subtle sweetness but at the same time will cradle you with the meat's tenderness. The Thai Crispy Rice Crackers (P280) serves as both a dish and an appetizer. At first, it may seem like your ordinary rice crackers, but when you dip it into the sauce, their flavors blend together. 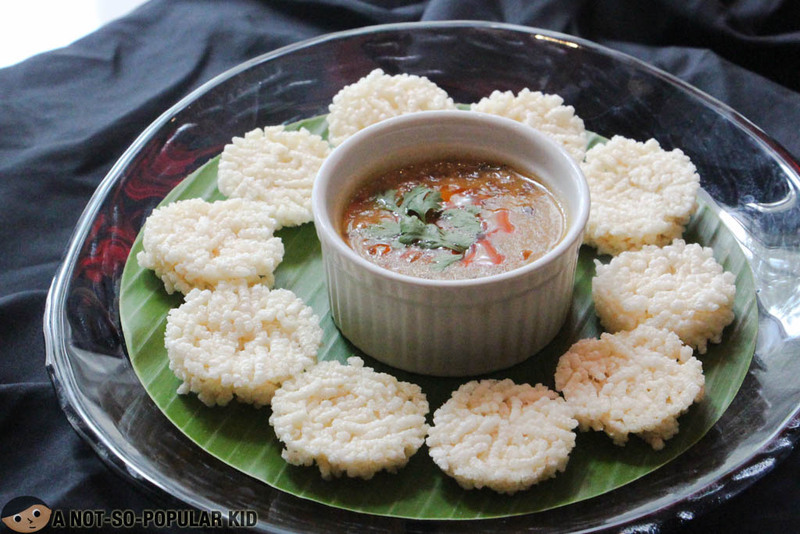 This creates a wonderful dance of coconut-tamarind that literally pops. 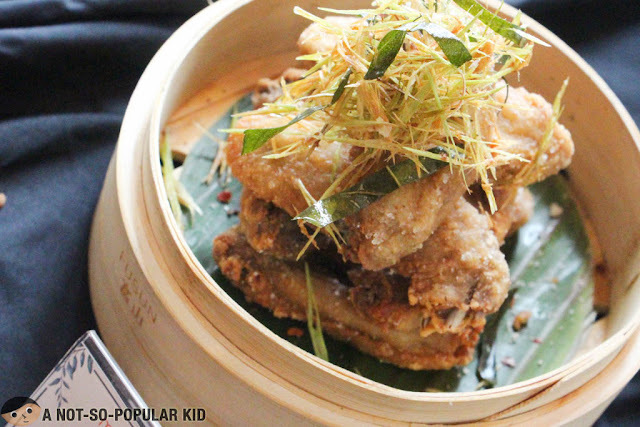 The Tom Yum Chicken Wings (P290) comes in a dimsum container that adds a layer of authenticity and appeal to it. Expect something crispy, sour and spicy in this amazing dish! 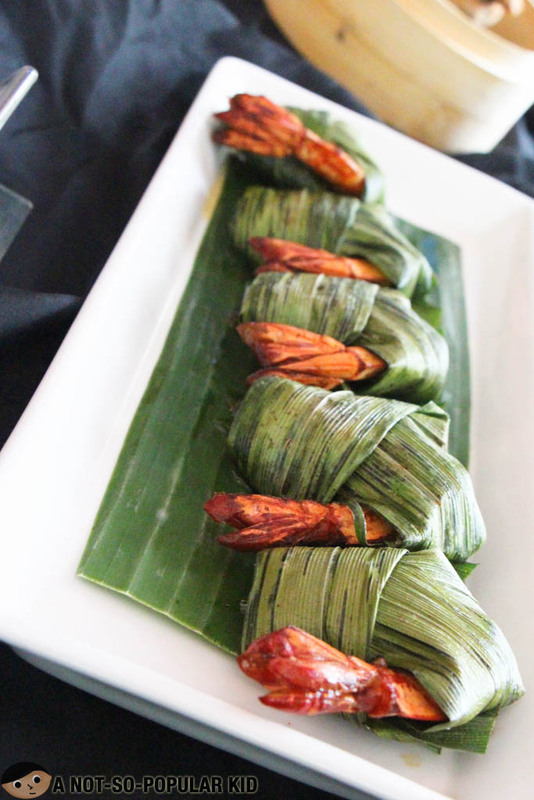 The Prawns in Pandan (P580) shall take you to a seafood paradise with its balanced pandan flavors infused in the prawns. It was also a first for us to try something like this! 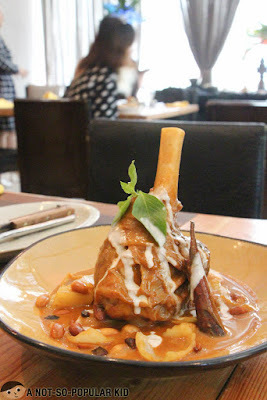 The Mussaman Lamb Shank (P850) is a visually stunning dish, but it was not just the appearance that will win you over. It's the fall-of-the-bone tenderness as well as the fine blend of curry and Thai spices that will give extreme pleasure to the buds! 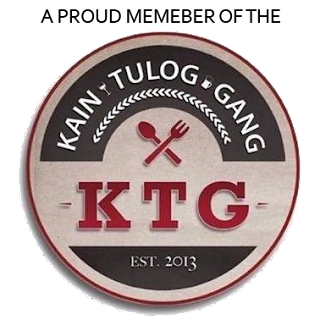 Now, if you want to impress someone, you can go for this dish! 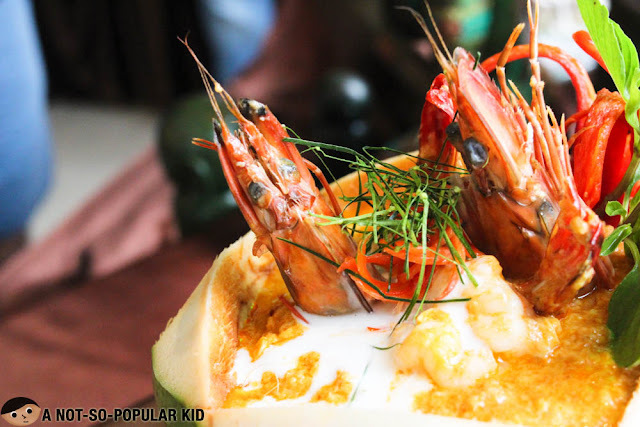 Started as a special Christmas dish, this Homok Seafood Curry in Coconut (P950) finally made its way on the menu. 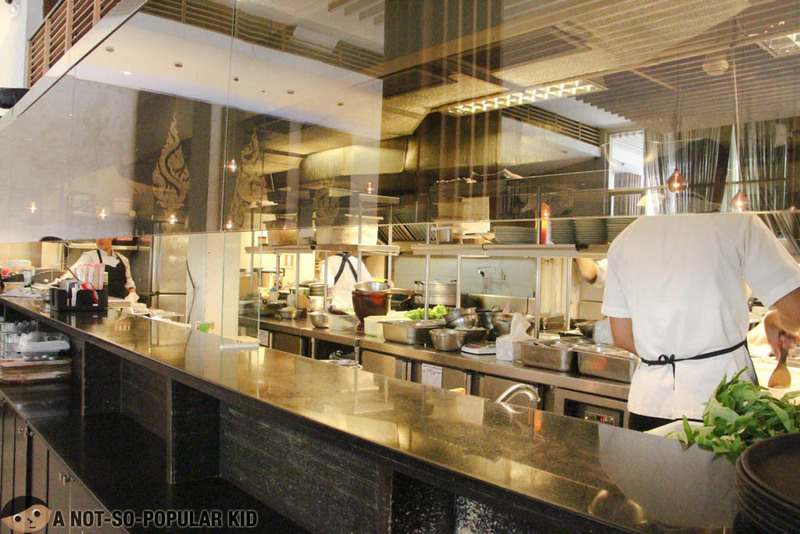 If you want to indulge yourself with some seafood Thai goodness, this is something you shouldn't miss! Yeah, trust me. You'll never go wrong with this dish (unless you are allergic to prawns, which hopefully you are not). There you go! 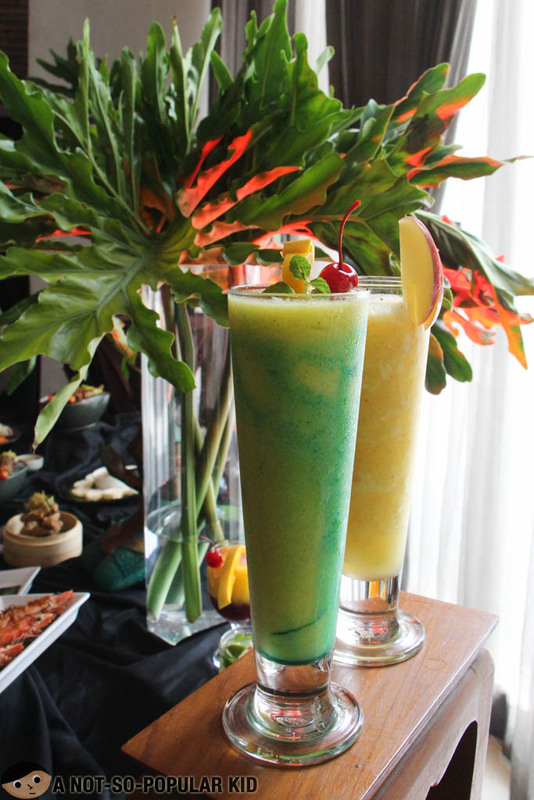 So if you are looking for a place that will indulge you with an incredibly fine ambiance and exquisite Thai flavors, then Mango Tree definitely makes a great choice!